Purpose: Higher Education (HE) has a role to play in inclusive national growth. This paper aims to explore the potential contribution of a private institute to this end. 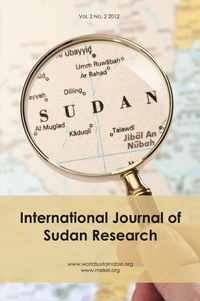 Methods: A case study including a review of the philosophy, vision, mission and learning environment of Nile College, Sudan. Findings: Nile College adopts a holistic philosophy articulated on excellence in education, leading to personal development and the improvement of the quality of life of individuals and communities and as a means to build sound values and morality necessary for good citizenship. Such development-oriented philosophy provides a platform for a supportive learning environment including curricula, facilities, research and monitoring and evaluation that produces skilled and motivated health workers, aiming ultimately at a socio-cultural and sustained development. Value/Originality: It provides evidence that private HE is not a profitable enterprise but can be a robust learning system for national growth. Sumaia Al Fadil Head Department of Community Medicine, Nile College, Khartoum. Mohamed Yousif Sukkar Head Department of Physiology, Faculty of Medicine, University of Khartoum. Dean, Graduate College, University of Khartoum. Dean, co-founder, Nile College.